In an article published in the Blue Line a few days ago, I reported incorrect results from citizen sampling for plutonium in soil in the area at Rocky Flats proposed for construction of the Jefferson Parkway. The sampling effort was initiated by Rocky Flats Nuclear Guardianship, a project of the Rocky Mountain Peace and Justice Center. 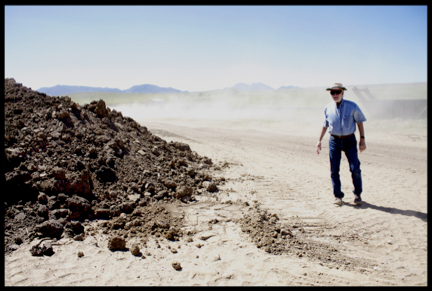 We wanted to determine whether highway construction would be likely to stir up a cloud of highly toxic plutonium-laden dust that would endanger workers, nearby residents and others. In the referenced Blue Line article, I stated that the scientists we hired to do the sampling, Marco Katofen and Strongbear, a colleague from the Boston Chemical Data Corp., had found plutonium concentrations at lower levels than had previously been found in the area intended for the highway construction. I was mistaken. In fact, according to Kaltofen, their samples collected along the eastern, downwind edge of the Rocky Flats site showed plutonium concentrations that closely correspond with results from earlier sampling by others in the same area. Kaltofen and Strongbear found plutonium in 6 samples along Indiana St., the eastern edge of the Rocky Flats site. Two of these samples contained concentrations of plutonium well above what government agencies regard as average background plutonium deposits from global fallout. One came in at about 7 times background, the other at almost 40 times background. Kaltofen is now doing additional analysis with a focus specifically on the breathable plutonium particles present within the samples he and Strongbear collected, since inhaling such particles is the most dangerous way of being exposed to plutonium. This analysis, he says, will help us see more clearly the actual danger that can result from highway construction proposed for the parkway. By early January we should have information that will help us better understand next steps. Previous Topic: Slate | Bah, humbug.